One wouldn’t think books and whiskey easily blend. But they do. In ways, I surely never imagined when I started researching whiskey for my Lucky Whiskey series. 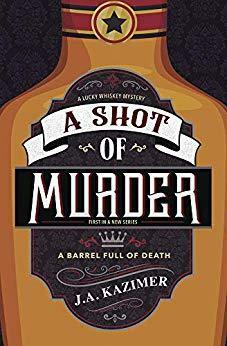 The first book, A SHOT OF MURDER: A Lucky Whiskey Mystery, drops on June 8th. So raise a glass and read on. Both whiskey and books start with humble beginnings – Whiskey starts its life as beer and books start, at least for me, as half-form, often unpalatable ideas, that, like beer are foul and need to be changed into something infinitely better. Both whiskey (Irish spelling) or whisky (Scottish/Canadian spelling) are grammatically correct, though the whiskey should be used as whisky looks like the writer is just drunk, much like the ridiculous use of gray (American spelling) when it should clearly be grey (British spelling). I mean, just look at it! Both whiskey and words must watch out for sneaky thieves – With whiskey, nearly 2% of a barrel is stolen by angels each year in what is referred to as The Angel’s Share, which is about the same amount of books stolen from libraries a year. Oddly, the most pilfered book is the Guinness Book of World Records. Both whiskey and books take a while to age. Whiskey is stored for 3 years, at least, before it hits the shelves, books take about the same from conception to a bookstore. More for me. I type really, painfully slow. That sentence alone took me nearly twenty minutes. Speaking of sentences, the longest one ever written is 823 words in Les Miserables. Both whiskey and books have a name for people who love the smell of each – Bibliosmia for books and J.A. Kazimer for whiskey. Both whiskey and word consumption prevents death. Whiskey is known to prevent some cancers and other diseases, while reading keeps people from killing other people. At least it does for me. I would’ve been jailed long ago without books. I did find a few more glorious facts about both books and whiskey while doing research. Facts that you NEED to know for your own self-preservation. People in Iceland read the most of all countries. You’d think they’d also drink the most whiskey considering the average temperature doesn’t go above 60 degrees (F) all year. But that honor goes to one of the hottest places on Earth, India, with 1.5 billion liters of whiskey consumed a year on average. Whiskey is a basic ingredient in Tabasco sauce. The very idea is an insult to my taste buds. 68% of books are purchased by women (yay! ), and a heck of a lot of us drink whiskey. Want proof (pun intended as I love a good pun, or a bad pun, or really, any pun)? Just look at the new marketing for whiskey targeting females that often falls short – Jane Walker (it is the same whiskey as Johnnie Walker but with a woman on the label. Lame, I know). Whiskey is the state beverage (yes, that’s a thing) of Alabama. And, finally, my favorite factoids – The name whiskey came from the Gaelic language (uisge beath) meaning ‘water of life’. And even better, the word nerd was invented by Dr. Seuss in his 1950 book, “If I Ran the Zoo”. My only goal in life is to craft a word as perfect as NERD. I hope you’ve enjoyed the sometimes bizarre pairings of whiskey and words as much as I enjoyed researching them, except without the hangovers. So many hangovers. That’s what I get for chasing good whiskey with Mountain Dew…. I’d love to hear about your favorite whiskey brand. And please share any random fact you might have about books or booze. Who knows what sort of research I’ll need for my next book. Comment to Win: A set of Dragon Whiskey Tumblers and a digital copy of A SHOT OF MURDER, A Lucky Whiskey Mystery. Ten years after leaving the small town of Gett, Florida, for Hollywood stardom, Charlotte “Charms” Lucky, who has never quite lived up to her surname, returns home to run the Lucky Whiskey distillery while her grandfather recovers from a heart attack. Making whiskey is harder than Charlotte imagined, especially with longtime rivals and resentful townsfolk interfering at every turn. She’ll need more than a lucky charm to keep the family afloat, after she discovers her former high school boyfriend’s pickled corpse in a Lucky Whiskey cask, and her grandfather is arrested for the murder. Charlotte has one shot to clear his name and save the family business, and that is to find the real killer among a town full of suspects. Originally from Cleveland, Ohio, j.a. left at a young age, and now lives and writes in Denver, Colorado. J.A. 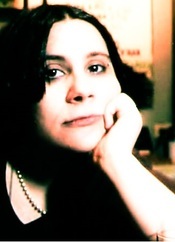 Kazimer holds a master’s degree in forensic psychology, and has worked as a PI, bartender, and most recently at the Jack Kerouac School of Disembodied Poetics.